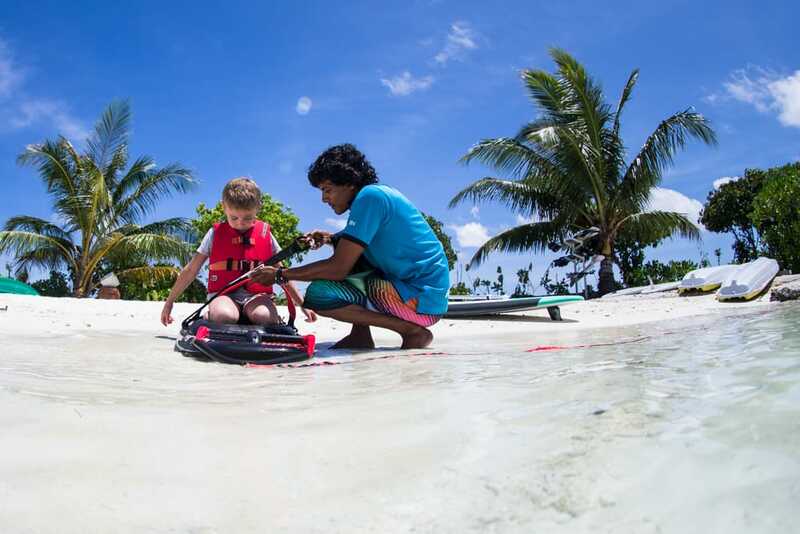 Kids can learn the skills and techniques required for balancing and the effective ways of paddling on a SUP board. The lessons will be carried out by experienced instructors. Children must be the age of 6 years and above to be able to fully learn the skills. We have tubes that are suitable and extremely fun for the little ones to ride on. 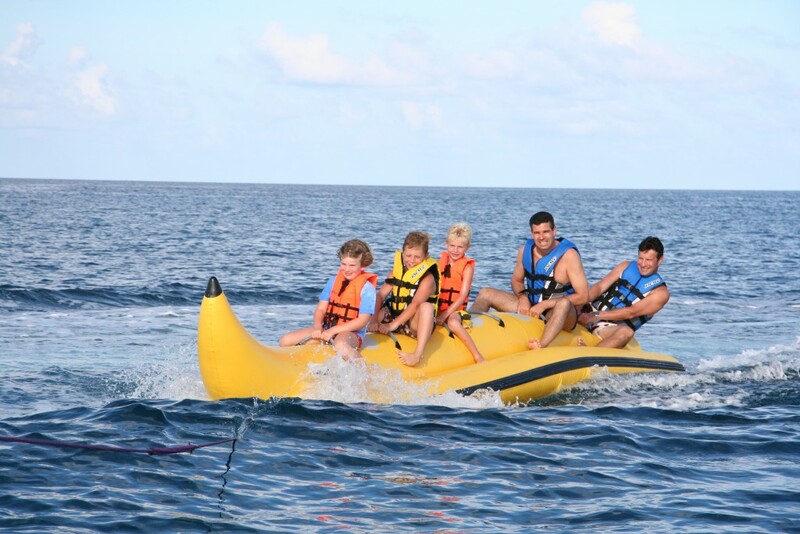 Also the banana ride for kids is a must for all families traveling with children. Teach your kids how to ski! with our Jobe combo Hemi Trainer Skis, specially designed to teach kids to learn how to ski. Your kids will have a great opportunity to master the skills. Kids as young as 6 years of age are able to enjoy knee boarding. Our instructors will teach the kids control and balance, while they enjoy the basic maneuvers, twists and turns and of course splashes. Kids should be the age of 6 years. Windsurfing lessons are offered for teenagers where they can learn the basics of windsurfing on beginner boards. Kids must be the age of 12 years. 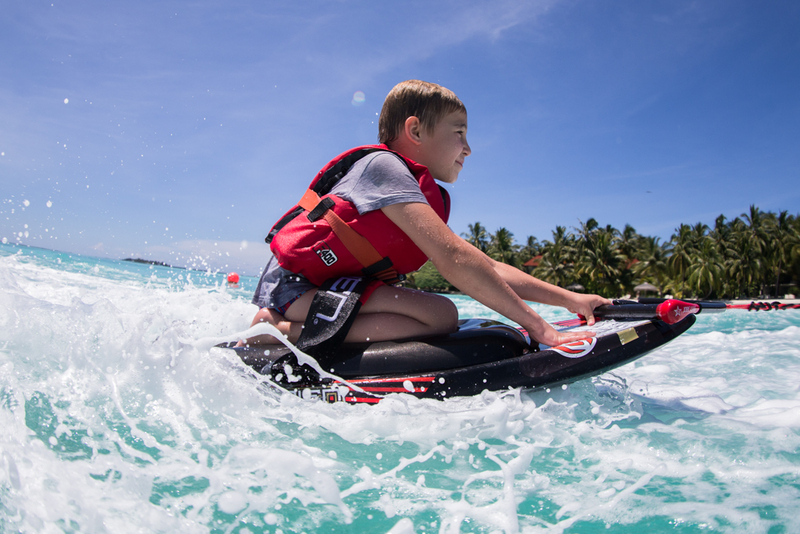 We have on offer a Jet Ski ride especially for kids where one of our instructors will take the kid on a safe ride on our very stable jet ski right off the shore. A minimum age of 6 years is recommended.